Baby it's cold outside — let some hot cocoa warm you up. It’s been really cold out, really snowy out, really warm (for a day) and really cold again. 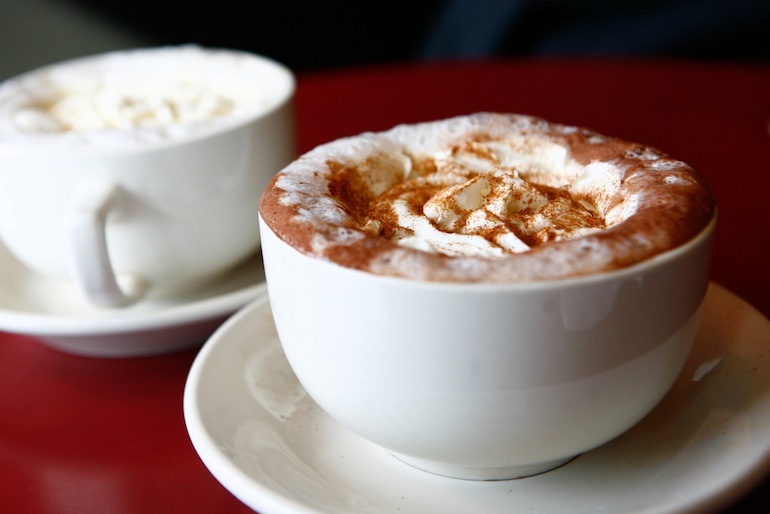 The only way to combat any of this miserable weather is to grab yourself a nice cup of hot chocolate. It’s available all over campus and here’s where you can find the best one for you! This hot chocolate is amazing and extremely creamy. To put it plainly— its over-the-top decadent. It comes highly recommended by Randi Kramer, who describes it as “pure melted chocolate in a cup. 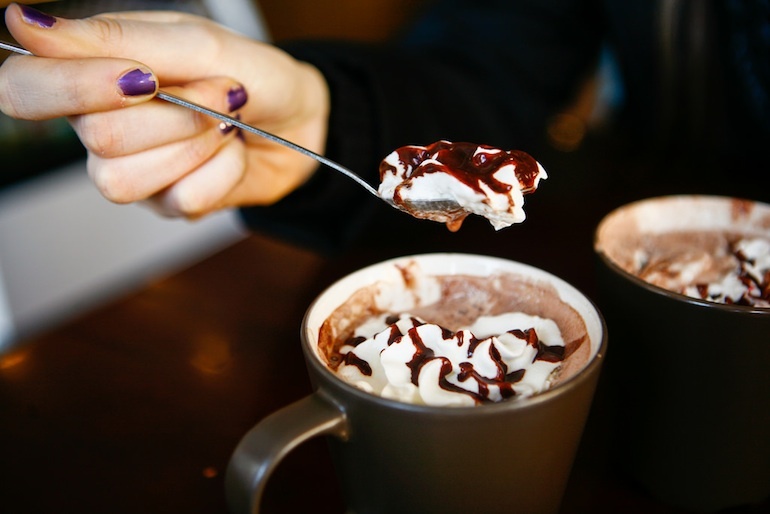 It’s the richest and warmest hot cocoa out there.” It also comes with a plate full of thick, real whipped cream— none of that Reddi-Whip stuff. Metro offers some of the most interesting hot chocolate around campus. The options include white, dark and even an interesting Aztec hot cocoa. I chose the white and Aztec ones to try. The white hot chocolate is very sweet and milky and comes drizzled with white chocolate syrup on top of whipped cream. The Aztec hot chocolate has a slight spicy kick that makes it really interesting and pretty special. It comes topped with whipped cream and cinnamon. The cocoa comes in a big warm mug if you’re staying or a convenient cup if you’re getting it to go! 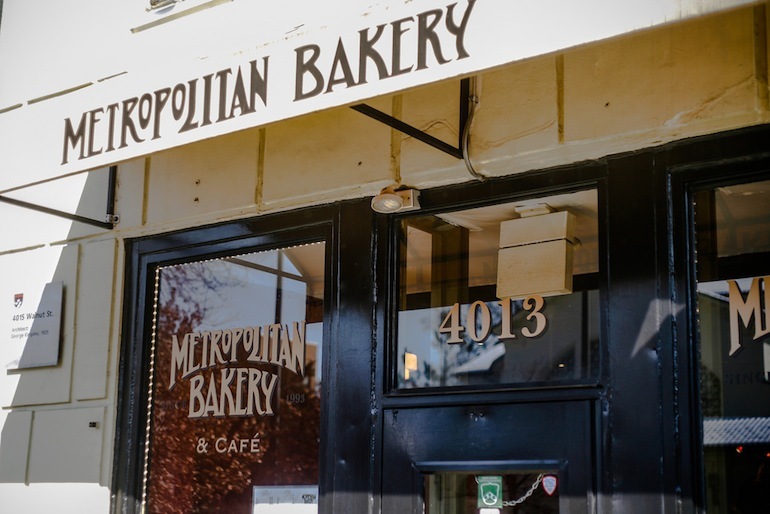 Although most of you are probably hesitant to go past Walnut, this little coffee shop is on 40th in bewteen Chestnut and Market and is the definition of a hidden treasure. 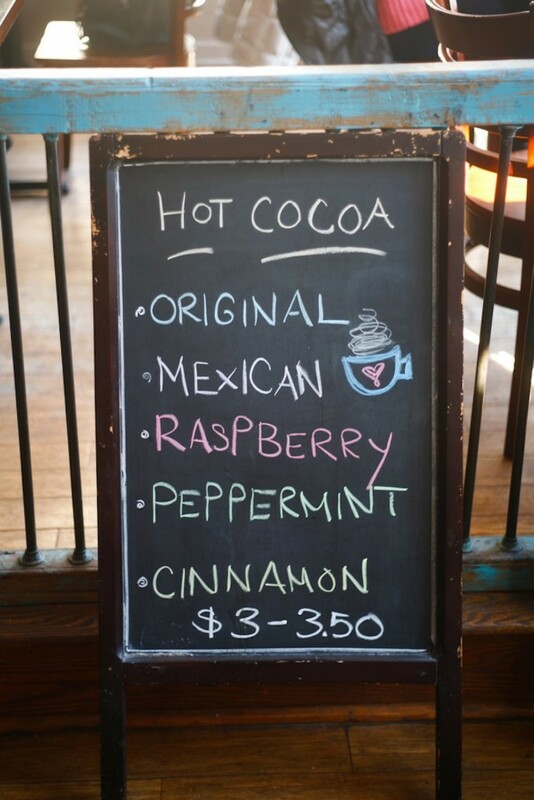 Their hot chocolate is probably the best around and comes in five interesting flavors including Original, Mexican, Raspberry, Peppermint and Cinnamon. I tried the raspberry and peppermint options and they didn’t disappoint. The raspberry one had an awesome chocolatey raspberry flavor that wasn’t too overwhelming while the peppermint was the perfect blend of mint and chocolate topped with whipped cream and crushed candy canes. I would highly recommend venturing out the extra block for a great quaint, authentic coffee shop with a creative name and equally as creative hot cocoa. 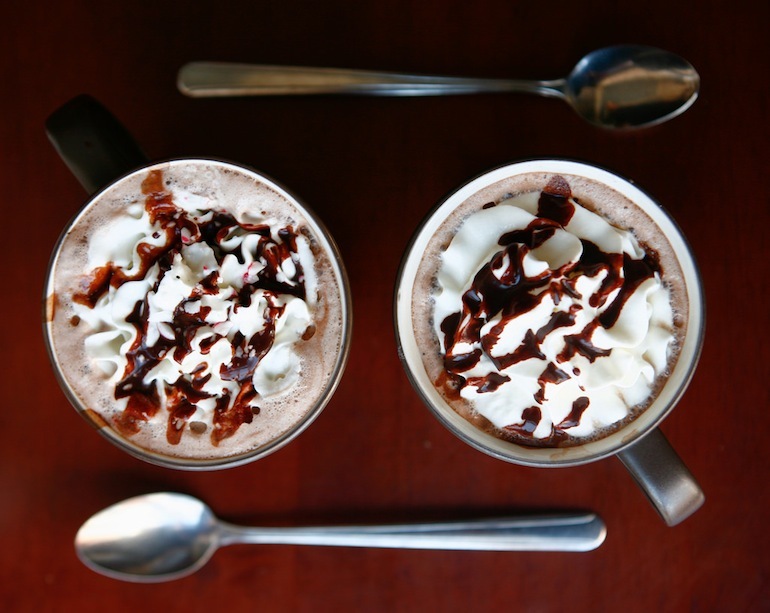 This vegan hot chocolate is a pleasant surprise. It’s made with soy milk and is topped with coconut whipped cream. I would highly recommend it, especially because it is rich and smooth without any milk or cream! All you lactose intolerants out there, this one is for you. Get your fix fast as Hip City will stop selling it soon! With a pretty classic hot chocolate option, Starbucks is conveniently located at 2 places on campus. Unfortunately, it doesn’t always come out that hot in temperature, which can ruin a good hot chocolate. Its taste is above average though and it is very chocolaty, which is always appreciated.